Last edited by advertologist; Sat Nov 21 2015 11:01 AM. The one in the Kyle Moore sale brought $38,000 before the buyers premium and taxes! Totally different condition, of course! Last edited by JimT; Sun Dec 20 2015 08:15 PM. Reason: Makes sense the buyer backed out.
? Pricer looks OK to me?? This one looks like the exact same one he sold December 14th for $275 . Maybe he had two of them and using the same picture. 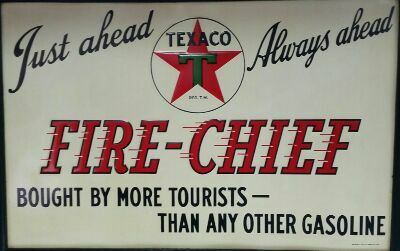 Do they reproduce these with the Texaco letters on them ? No known reproductions with the raised letters like that...buyer backed out of the deal on both pricers this seller had was what I was told. No additional (mounting) hardware comes with it.